Location: Southwestern Illinois, west and south of Alton along Mississippi River opposite St. Louis. The Sam Vadalabene Great River Road Bike Trail offers an up-close experience of the Mississippi and Illinois rivers. It travels at the edge of the Mississippi, tucked against the river bluffs, and then along the bank of the Illinois. It climbs and winds through the oak-hickory bluffs of the Illinois within Pere Marquette State Park. It brings the visitor to river communities: the venerable, historic city of Alton, remarkably-preserved village of Elsah, and the revitalized river town of Grafton. The Vadalabene Trail is within the Great River Road corridor and the Meeting of the Great Rivers National Scenic Byway. It is a designated segment of the Mississippi River Trail. The Vadalabene is exceptionally scenic. The vertical bluff river bluffs frame broad views of the river. The trail provides the bicyclist or pedestrian with a riverfront traveling experience. Part of the trail is on marked shoulders of the Great River Road and part is on a separate rail trail pathway directly adjacent. Both provide memorable river perspectives. A contrasting experience at the trail's other end takes the trail user up into the wooded river bluffs, with the challenge and accomplishment of steeper grades. Between the two is the Grafton section of the trail, which takes the trail user to shops, restaurants, and alongside the Illinois River. Located at the northern edge of the St. Louis metropolitan area, the Vadalabene Bike Trail connects with the Confluence Trail to the Madison County system of trails and via the Clark Bridge to Missouri's Katy Trail. 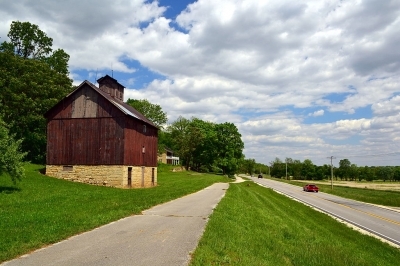 Named for Illinois state senator Sam A. Vadalabene, the trail is one of the oldest in the St. Louis area, with 15 miles completed between 1976 and 1979. Senator Sam, as he was known, saw the importance of bicycling facilities long before they became common. The trail's original 15.5-mile south eastern section is managed by the Illinois Department of Transportation. 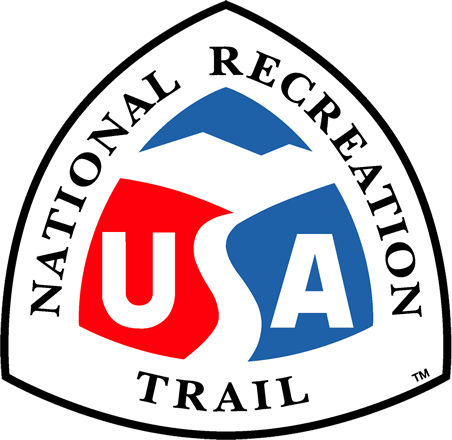 The Illinois Department of Natural Resources extended the trail to Pere Marquette State Park in the late 1980's and manages this 5-mile section. The City of Grafton developed and manages a 2-mile section within Grafton. 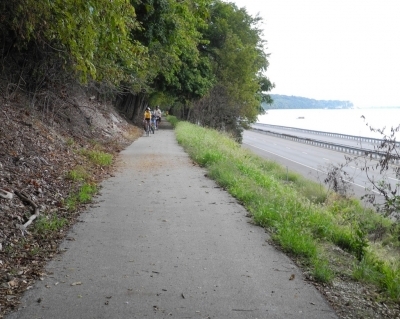 A portion of the Sam Vadalabene Bike Trail along the Mississippi River in Madison County, Illinois. Photo by KBH3rd. The Sam Vadalabene Bike Trail (left) and Illinois Route 100 near Pere Marquette State Park. Photo by KBH3rd.